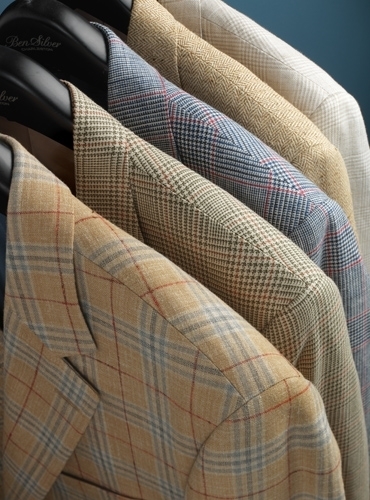 Our pure silk sport coat will be a “go-to” for the season with its soft and nubby hand, woven of pearl and sable silk into a classic herringbone with hints of blush and dawn. 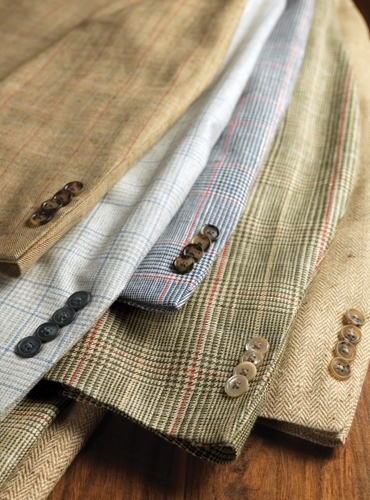 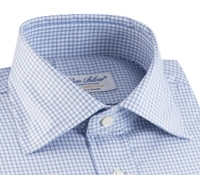 Woven in Ireland exclusively for us, cut in our American workroom in a full range of sizes, and tailored in a trim natural shoulder silhouette with a canvassed and lined two-button front, and trim 3" lapels, center vent, and double pipe and flap lower pockets. 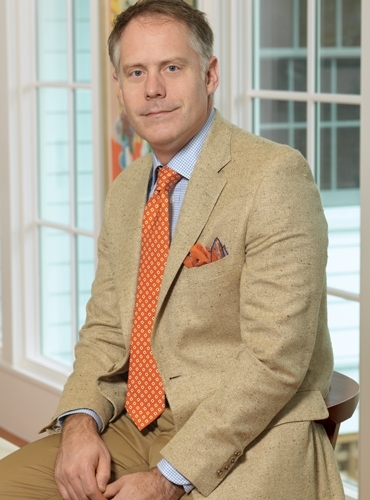 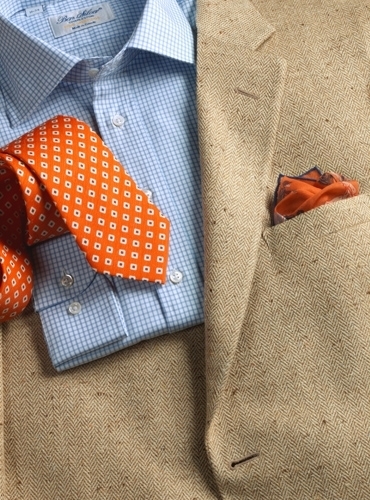 Shown with one of our classic blue and white Italian woven twill spread collar shirts, with a blue grid on white, and a printed silk and linen square motif necktie in tangerine. 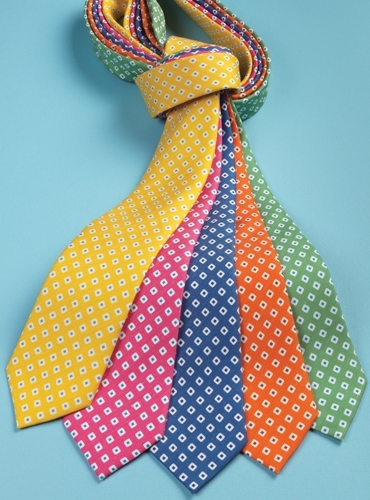 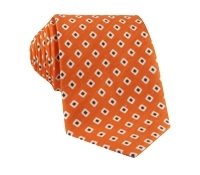 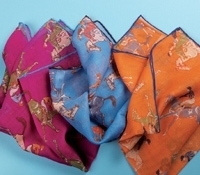 In the pocket, a cashmere and cotton pocket square with a jockey motif.